Offering our best quality100% SAFE Ink/Adhesive/Laquare circulation pump for better output, consistent quality and least wastage of film and ink. 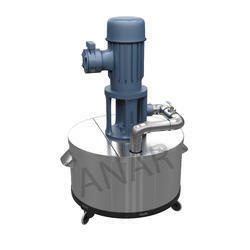 Consists of Flame Proof Motor, Compact Cast Body,Extra Stirrer,S.S tank and/or Tray and Flow Control Valves. Volume of Tank:Min. 10 Ltr., Max. as required. Tank Size Min. 10 Ltr. Our best quality Ink circulation pump for better output, consistent quality and least wastage of film and ink. Volume of Tank Min. 10 Ltr., Max. as required. Offering our best quality 100% SAFE Ink circulation pump for better output, consistent quality and least wastage of film and ink. Offering our best quality 100% SAFE Ink/Adhesive/Laquare circulation pump for better output, consistent quality and least wastage of film and ink. Volume of Tank: Min. 10 Ltr., Max. as required.